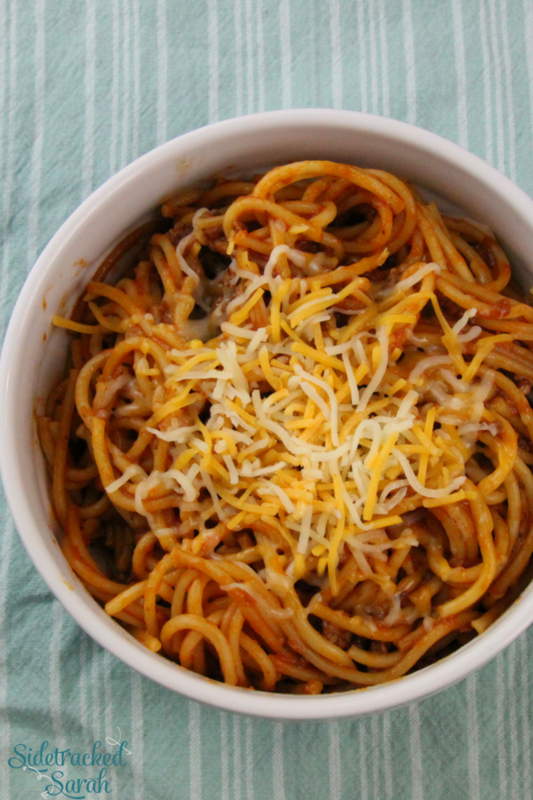 Instant Pot Spaghetti Is the Perfect One Pot Meal to Satisfy Even Your Pickiest Eaters! We love Instant Pot Ground Beef recipes! Some of our favorites include The Best Meatloaf Recipe for the Instant Pot and Instant Pot Stuffed Pepper Soup. Spaghetti is one of those recipes that works for just about any occasion. Are you rushing to get dinner on the table on a busy weeknight? Spaghetti to the rescue. Do you have family or friends coming over, or maybe a house full of hungry kids? Spaghetti is sure to satisfy. 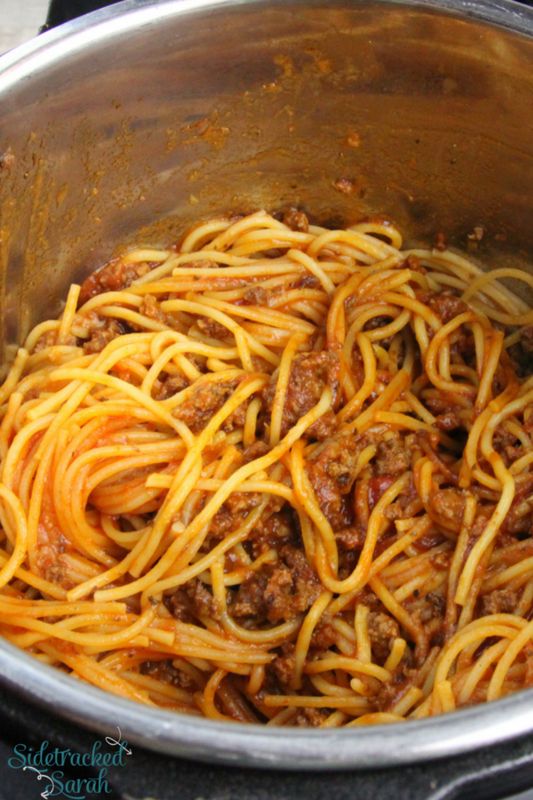 As an added benefit, spaghetti is easy to make, too. The only drawback is all the dishes you have to dirty and wash! A pan to brown the meat in, a pot to cook the pasta, and another to warm the sauce…there has to be an easier way to do it. Thankfully, there is! 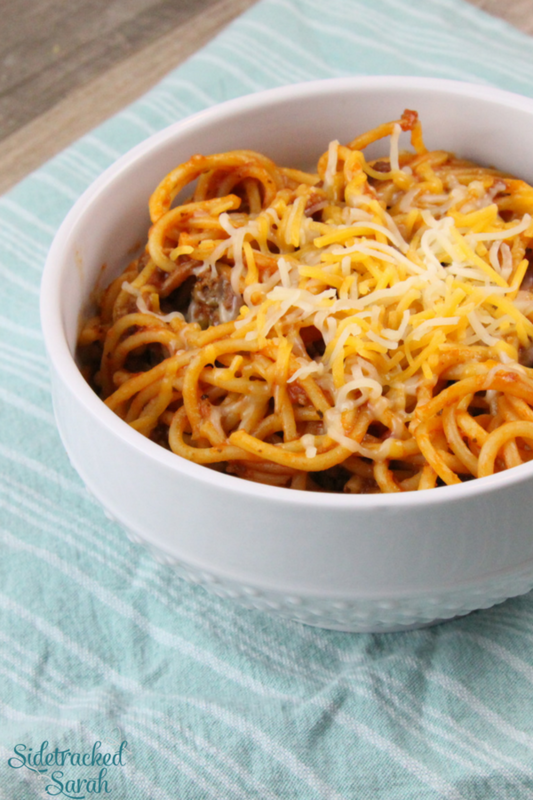 You can cook Instant Pot Spaghetti in one pot – really! – and have it on the table in no time. DOES THIS INSTANT POT SPAGHETTI FREEZE WELL? It definitely does! If you’re feeding a smaller bunch and want to freeze the leftovers, go right ahead. When you need a quick meal, just thaw and reheat, and you’re ready to go! WILL THE NOODLES CLUMP TOGETHER? 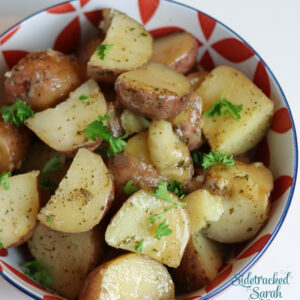 If you place them in the Instant Pot all in one big bunch, yes, they can. If that happens, just separate the noodles gently with a fork and they should be fine! To avoid having them clump, be sure to layer them, crossed somewhat diagonally, before you cook them. There’s no need to be exact with the layering, but it really does help. They will have a great texture and taste! CAN I USE HOMEMADE SPAGHETTI SAUCE? 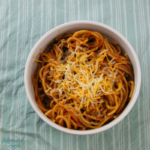 This Instant Pot Spaghetti recipe works well with your favorite jarred sauce, but if you have homemade on hand, feel free to use it! Just be sure to use the same quantity as called for in the recipe. Sauce consistency can vary, so if you would like a thicker sauce, just cook it down for a few minutes on the Saute setting before serving. The sauce should thicken up beautifully! I hope your family enjoys this recipe as much as ours does. I have a feeling it will go on your regular meal rotation! Brown ground beef on Saute function. Drain. Place chicken broth, marinara sauce and noodles in IP, being sure that noodles are covered with liquid. Cook on Manual or Pressure Cook mode, high pressure, for 6 minutes. Natural Release for 6 minutes, then QR to release the rest of the steam. One interesting aspect of living in the country is the change in scenery as the crops mature from seeding through harvest. We use the oil well access road right next to our property to walk, ride bikes and 4 wheelers on. It is very interesting seeing the beans, wheat and corn grow at different stages throughout the year. 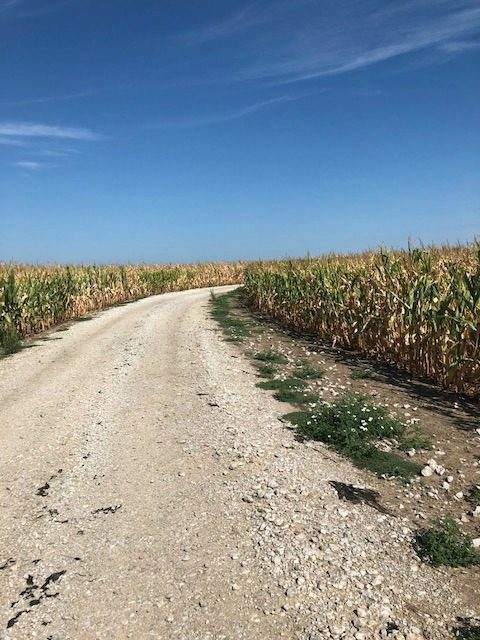 Below is the road we use and corn on each side drying out for harvest.